This extraordinary feat of heroic self-reliance, this Nietzschean demonstration of will to power has earned him the highly apropos sobriquet Spartacus. 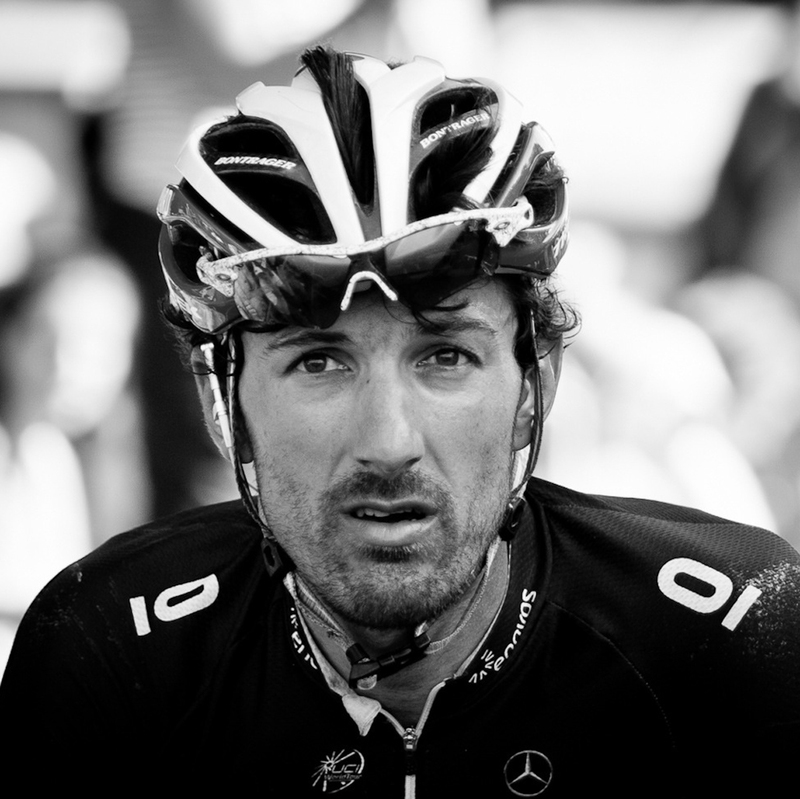 And Cancellara is a gladiator indeed. Because each time he climbs on a bicycle, he walks into the arena and enacts a war of attrition. 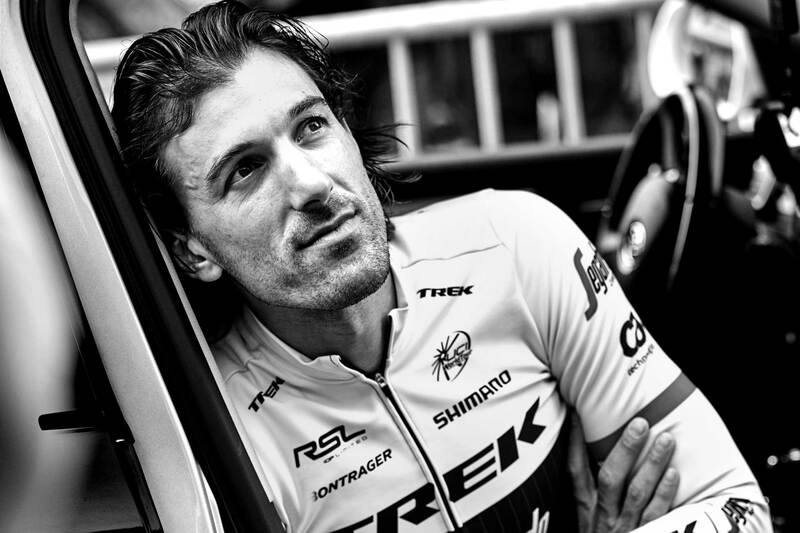 Because each time he’s won, it has cost Cancellara. He understands more than anyone that the bicycle demands its pound of flesh from those who dare ride it faster than all others. To go fast on a bicycle means to suffer, to be crucified, to die and to be reborn — such is the price of pain it extorts from you. 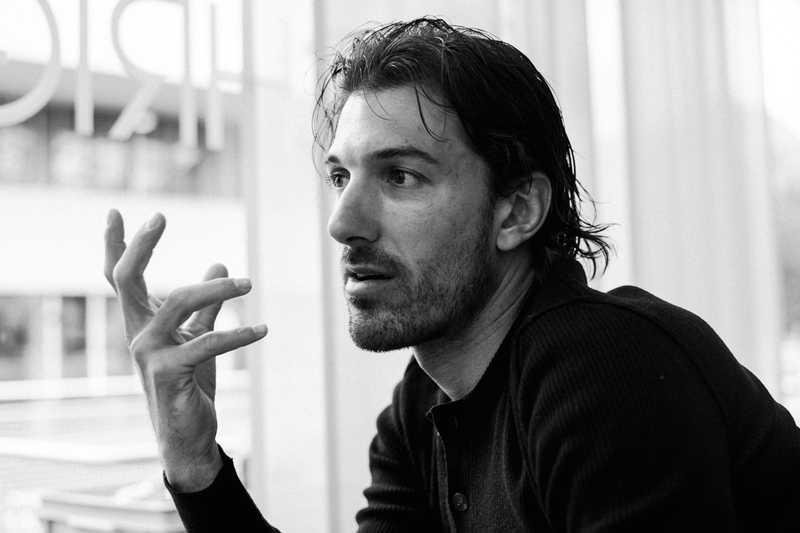 And Cancellara is a master of the resurrection. 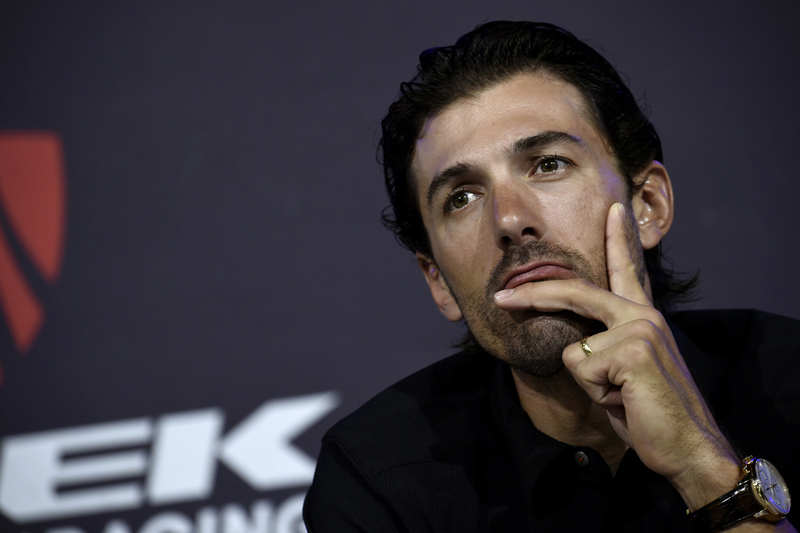 The harder the race — in particular, the cobblestone-strewn existential nightmares of the Tour of Flanders and Paris-Roubaix, also known as “The Hell of the North” — the better Cancellara gets. He’s won both of these back to back in 2010 and 2013. 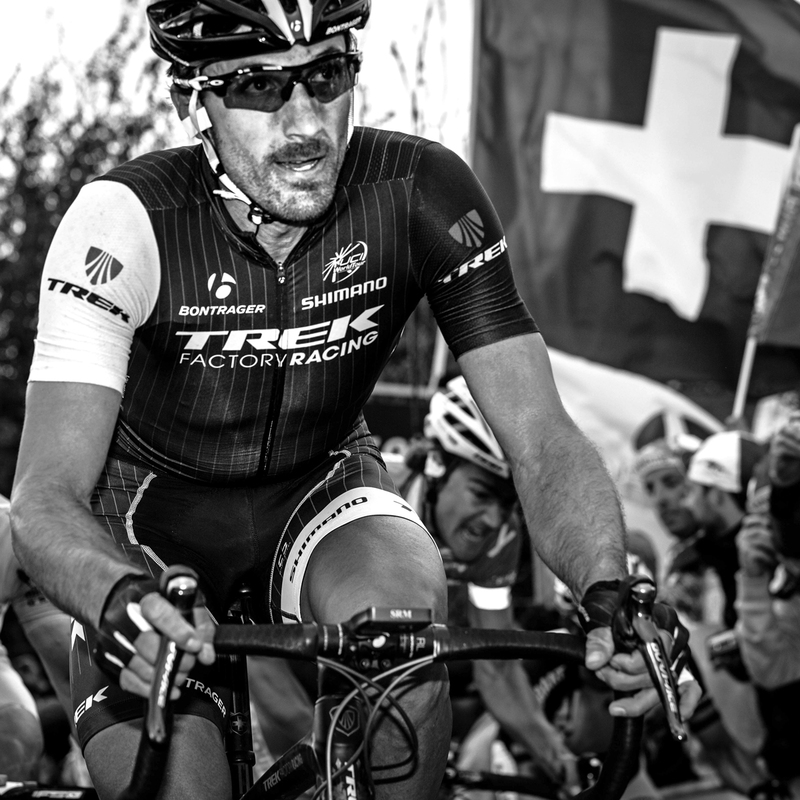 In so doing, he’s created some of the most magnificent duels in modern cycling. Who can forget him grinding Tom Boonen into the dust on the Muur van Geraardsbergen during the 2010 Tour of Flanders, and again decimating Peter Sagan at Oude Kwaremont in 2013 at the same race? Indeed, his palmarès is a virtual litany of cycling awesomeness: seven Tour de France stage wins and 29 days in the Yellow Jersey, four stage wins at the Vuelta a España, three wins at Paris-Roubaix, three wins at the Tour of Flanders, three wins at the Strade Bianche, three wins at the E3 Harelbeke and one Milan-San Remo win. 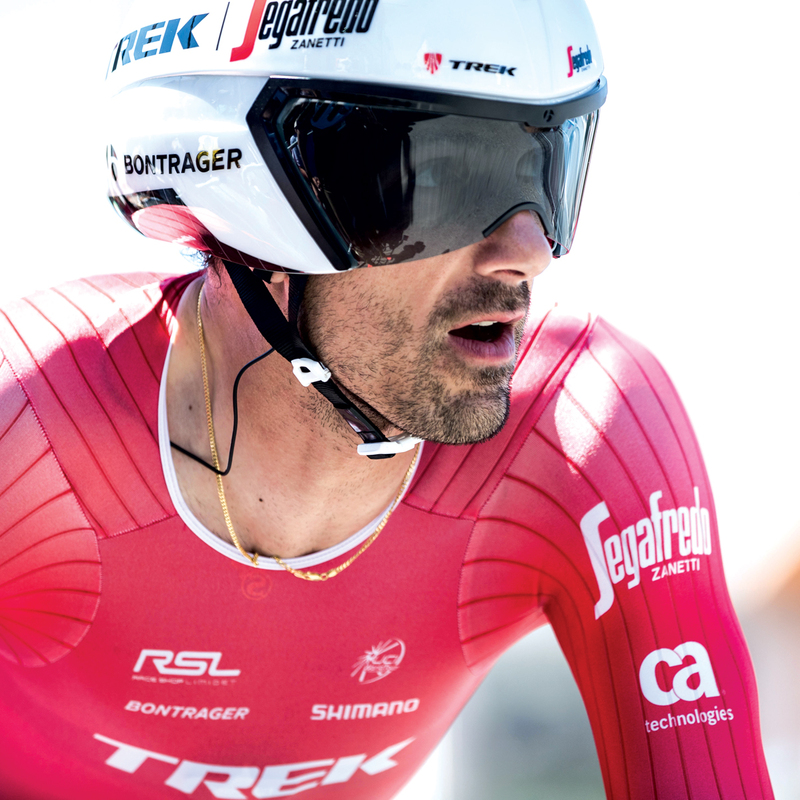 But it is, in particular, as a practitioner extraordinaire and Jedi Master of the time trial that Cancellara will go down in the history books as, very possibly, the all-time greatest. Otherwise known as the Race of Truth, the time trial is bicycling at its reductive purest. One man, one bike, racing against the clock over a predetermined distance. There is no hiding in a team, there is no drafting. The time trialist, over the course of the race, peers in to the depths of his soul to understand who he is at his core. 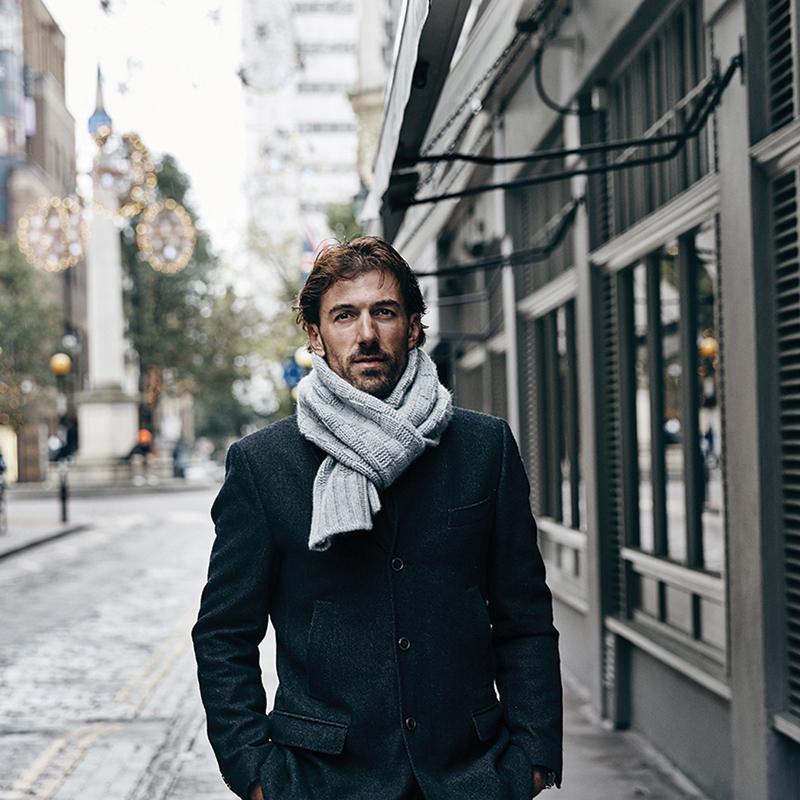 And Cancellara, who has won the Time Trial World Championships an unbelievable four times, as well as Olympic Time Trial gold in 2008 and 2016 in Rio, is a master at staring into the abyss and then extracting from himself the very best essence of who he is. Revolution sat down with this one-in-a-million man and discovered him to be startlingly humble despite his extraordinary accomplishments. Did you go to the 2016 Rio Olympics determined to win the gold medal in the time trial? The plan was to try to be successful; bringing home any medal would have been a huge thing. Bringing home a gold medal was something really amazing. Especially coming back like this, which hasn’t been easy. But now it’s become — I don’t want to use the word incorrectly — like a tsunami. For Switzerland, it’s great because this summer Olympics we had my gold medal and also the gold medal for men’s mountain biking (won by Nino Schurter). You probably know that in a few weeks I’ll have finished my entire career as an athlete. And I don’t want to say that I was missing something from my palmarès but this was really an incredible experience for me. You once said it’s harder to maintain your performance over a long career than it was winning those initial races. Looking back, do you still feel this way? Definitely, I think to prepare to win a day race or a stage in a tour is one thing. But the more you win, in some ways, the more difficult it becomes for you. It’s the attention, the expectation and the pressure — in particular the pressure you put on yourself. And there are certain riders that can handle this pressure and there are others who can’t. When I look back at my career, I would say that since 2006, I’ve been competing at the highest level in cycling. But to maintain this competitiveness, it is not easy. And then you start to get older, and as each year passes, your outlook is changing. How has your perspective on life changed as you’ve gotten older? Your outlook changes, because as you get older, you start to add more responsibilities to your life. So many changes. Look at me. Now I’m 35 years old. I’m responsible for my two kids and I’m responsible for my wife. I am very grateful I’ve had a great career and I’ve won a lot of races, but I’ve also had some years where things had not been easy, where I’ve had bad luck or crashed out and been injured. In 2015, I broke my back twice. In 2012, I broke my collarbone and had a very bad crash during the Olympics. How do you deal with injuries like that and come back stronger as you have? These moments when you are challenged, where you are really brought back down to earth, are sometimes more important than all the victories you can have. It’s bad luck certainly but sometimes there are signs that your body needs to recover. And recovering physically is one thing, but sometimes you also need to reset your mind. I look back and think of myself as a lucky rider. Because I feel that all of these bad moments have helped me to become even stronger afterwards. I’m not saying it wasn’t really, really hard. It was. And then dealing with the pressure and the press. What is also difficult is that as you are getting older, you are also building up a structure to your life. And with each additional responsibility, it is harder to maintain the level of cycling that you need to be at to be truly competitive and the best that you can be. How much of cycling is mental? At a certain level, everyone is physically gifted. Everyone is talented. But after a while, it is much more about how mentally strong you are. How much will you have, how much you are about to put aside and focus on your goal. To block out if it is raining or if it is very hot. Of course, there are some athletes that are good in the rain or in the heat. But to maintain mental strength: this is the most challenging thing for a cyclist. How has your mental strength been challenged? I experienced this myself in terms of how much I had to overcome mentally at the Olympics. It was a huge struggle with understanding how I would deal with it if I lost. If I did not achieve what I wanted. In the end, I had to talk to the mental coach that we had as well as the coach of the Olympic cycling team. And I said, ‘Look, it’s the Olympics. It’s the last race of my career. But I feel strange. I feel as if I have no adrenaline.’ They both said, ‘Listen, what you have to do is focus on what you are doing. Which is to put your head down and push the damn pedals. Don’t think that it’s the Olympics. Don’t think that it is the last major race of your career. Don’t ask yourself if you’ve prepared enough. Don’t think about the competition. Don’t think about if it’s good weather or bad weather. It is only about you and the performance that you want to put out, and that is all you need to think about when you are on the start ramp.’ Of course I could have cracked, but I tell you, these conversations really helped to build up my mental strength and be focused. What was it like to ride that gold-medal-winning race? Looking back at this race, I was tired, but at the same time, I completely went into another zone, where somehow I didn’t have fatigue. I did the right race. It was a race where, of course, I went over my limits. I looked at the race data and the power levels and how long I sustained this power, and I realized I did the very best performance of the last few years. After this race, I realized I could continue for two more years at this level of cycling without a problem. Would you consider racing for a few more years? My body will allow that. That’s not the problem. But it is not a question purely of physicality. It is recognizing that mentally I feel it’s time to move on. In performance, I feel 60-70 percent is coming from the brain; the rest is coming from the body and the muscles, but the point is if you are not totally mentally committed with all that implies in terms of sacrifice, you will not be able to be victorious in major races. The bicycle is an interesting device, as in order to extract the maximum performance, it must inflict the maximum pain. Are you a master at suffering? Time trialing is unique in that every race is purely about getting the very best out of yourself. You cannot hide who you are in this event. And that’s what I like about it. Sure, there is pain and there is fatigue, but it is mostly about yourself and confronting who you are. The time trial is special in that you ride alone. People ask me, ‘What the hell are you doing? Your sport is you riding alone and making your own pain.’ But for me, it is about riding against the clock and then to be the fastest against it. You are working with yourself. You are challenging yourself and asking where is the furthest you can go, where is the limit. I think I’ve pushed past those limits and each time I do, I realize I never really knew where the limit was. I’ve been over the limit and then after that I’ve been over and over the limit again. I’ve gone on and on until I can only describe it as having died on the bike. But each time you’ve reached a mental barrier and then you’ve gone past this, you make yourself stronger. You know that you can go harder and longer. And each time you push past a limit, you get an adrenaline rush and it makes you want to go even harder. What’s the thrill of cycling? For me, it has always been about speed. I want to go fast. Not just to be strong. Because during training, you see some guys that are always strong but it is about riding fast, on race day or at the Olympics — riding fast and riding all alone as hard as you can and extracting every last drop of performance and understanding you left nothing behind. In what way is God in the details related to cycling? Every detail counts. My sponsor is Trek and I’m very happy with the bike they’ve set up for me. The Speed Concept is an incredible machine but the way it’s set up for me is precise to the millimeter. Then it is about the wheels. Are you going to use a higher-profile front wheel or a lower-profile front wheel? Which tires are you going to use? Then there are the gears you select for the course you are riding and how to use them most effectively. Cycling is a lot about these small details. Because first of all, you want to do the maximum effort. You want 100 percent from yourself. But then I also want 100 percent from the bike. And remember, a bike is a microcosm of individual components and I want the best from each component. And then I want the best from every person that is on the team. I want the best from the mechanic, the best from the masseuse, the best from the coach, because in sport, if everyone gives the maximum then you’ll reach success. Sure, you have this success alone on the bike, but behind this success are all the people that no one see. How do you keep those around you motivated? Sometimes it is not easy to give 100 percent, however, if you want to succeed, then there is no option. And you have to get it out of yourself but you must also motivate everyone around you to give it as well. Because if there is one person giving anything less, there will be no success. I see this in companies sometimes; people have lost the motivation, but they have lost this motivation because they haven’t been taught what to do. It’s the same in the army — it’s not the general that’s important, it’s the soldiers and keeping them motivated. Because without them, you can’t win a war; at the same time, you need the general for tactics so they both need to be united. It’s interesting: what I’ve achieved in sport has been the result of a life school. Are you obsessed with data and metrics, like many in your sport? Somehow a time-trial rider can be a nerd, a freak about numbers. I’m not a freak about numbers because I learned to be a better rider, when I first went to the professionals, by understanding how my body is responding. I didn’t even have a heart-rate monitor on. Today, if you’re a young rider, everyone is using a heart-rate monitor, watt meter… it’s all metrics and they don’t take a decision anymore on how they are feeling. How your body is feeling, how your heart is feeling, is key. If you are fatigued, you are fatigued. You can’t just insist that today I have to do five hours because it is on the plan. If you are tired, then the heart rate doesn’t go up and the watts don’t go up. Look, we are all human. And there have been days in training when I’ll say to myself, ‘What am I doing here?’ But at the same time, sometimes you can go out feeling tired and you’ll see you had much more energy than you expected. Life is a bit of a balance between these two parameters. You need to seek a sort of middle path, somewhere between planning and spontaneous reaction. We reach so much emotion in sports. And it is incredible to share these moments with other people. At the Olympics, I wasn’t crying because I wanted to put on a show in Rio. The tears were from the satisfaction of achieving what I set out to do. You are a master of the solo attack; do you feel you have some supernatural ability? Is there a key or not? I don’t know. Somehow I have this extra. I was playing football then suddenly one day I found the bike. I felt something compelling me toward the bicycle and I’ve been fortunate that I did. How is it you are able to go out and simply solo to victory and no one else can do this? the time trial and it was something I felt connected to. 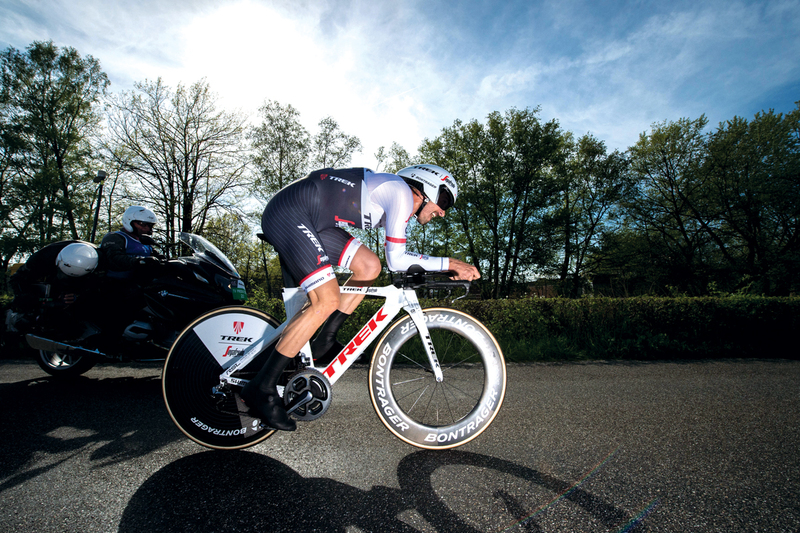 When I am on my road bike, I try to adapt what I can do on my time-trial bike to the road. So if I have a gap and I can successfully attack, I have a chance to time trial the remaining distance ahead of everyone else. You could say that I adapted certain strengths for sure. 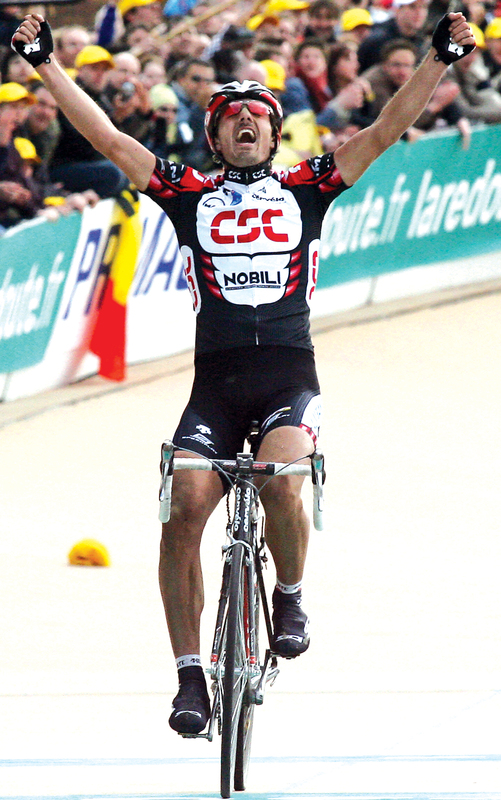 How did it feel to win your very first classic, the 2006 Paris-Roubaix? I had just joined a new team (CSC) with Bjarne (Riis) and we did these survival camps, and somehow I got an extra boost and extra motivation. I was certainly not the favorite; I was this underdog. I was cool and young, and I wasn’t thinking very much. I just thought, OK now I’ll go, and boom I went. The moment came and I just went. But at the same time, I was going a lot on feeling and instinctively I felt it was the right time to attack. You blew everyone away and entered the velodrome alone. How did that feel? Of course it was a real emotional moment. The dream had always been to ride into the velodrome alone and that’s what I did. What do you learn when you lose a race? I’ve learned some lessons about losing at Paris-Roubaix as well because I once came into the velodrome in 2004 with three other riders, and I ended up coming in fourth. I made a small wrong move to the right allowing the guy behind me to pass me on the left side. If I had just stayed on my line, I would have been on the podium. So I learned from this and the next time I came into the velodrome with another cyclist, I made him commit first. I’m saying I lost the race in 2004 but I also went on to win it three times, and I think it was good that I didn’t win this race too early. Sometimes if you win too early, too many things happen to you, how do you want to progress? What is so unique about Paris-Roubaix? 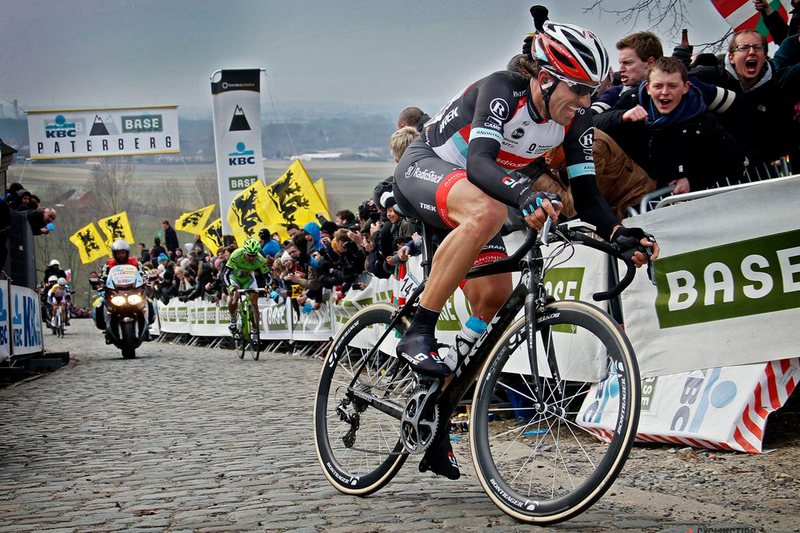 Roubaix is a very famous race, maybe the most famous one-day race. It’s a special race; it’s a race you battle against the cobblestones. They are flat roads, and normally flat roads are not hard, but the cobblestones cause so much abuse on riders that it makes it really challenging. That’s why they call it the Hell of the North. One thing is the competition in these races, but in races like this that are very punishing, they are also very much mental races. Regarding Boonen in 2010, part of what you are doing is always trying to detect weakness in your opponent, how you can weaken him and how you can damage him mentally. We’ve known each other for many years. So when you see a competitor, you look at how he sits on the bike, you ascertain every small thing about him. 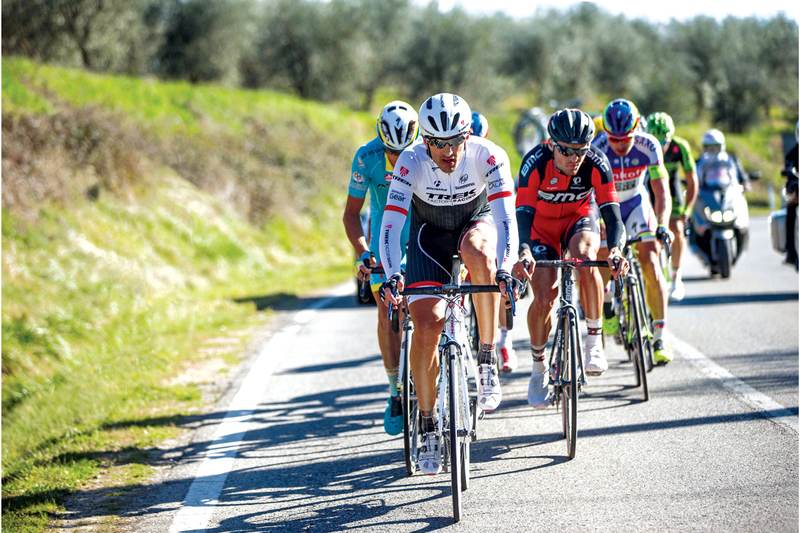 Some riders read about their competition in the press to see what their mental energy is like, but it’s also looking at how he guides his team in the peloton and how you guide yours. There is definitely an aspect of psychological warfare in cycling. Which do you prefer: time trial or classic races? I won everything in time trial, including the world championships (four times) up until 2010. But then after that I lost a bit of this power, this fire, for the time trial. But as this was happening, I found other motivations. I found new motivations for road racing (he won Paris-Roubaix and the Tour of Flanders that year). As I got older, I began thinking about how to adapt the efforts I was making in time trial to one-day races. I suppose in my career, I’ve two sides to it. On one side was the time-trial rider and on the other side was the classics rider. As I got older, I got mentally and physically stronger in the one-day races. When did you realize you were losing a bit of motivation for the time trial? When I won the prolog at the Vuelta (2011), I did 10-15 minutes of warm up. Yes, I only won by a matter of seconds. But the problem was that I was no longer motivated to do everything needed for the time trial, to ride the bike, then do the long warm up. Sure, I could still do short prologs but when I got to the 2016 Olympics, I had a different motivation. I recognized that somehow I had lost it regarding the time trial and I needed to find a new motivation. Because I remember during training how I felt so much fatigue. In your capacity as the race leader of the 2010 Tour de France, you once held up the race because so many riders were getting injured. Why? Well, I remember I was in the race leader’s yellow jersey and I saw so many of the riders on the ground because of the race conditions, and at a certain moment, I said, ‘Look, what’s the point of this if all these people, including the race favorites, are on the ground.’ These are situations where it wasn’t even the riders’ fault, if it was their fault then the situation would be different but it wasn’t, so what’s the point to continue like this? I was in the leader’s jersey so somehow I took the responsibility to say, ‘Hey guys, slow down. Now we don’t race. Let the guys in the front go if they want, but let’s be a unit. I’m gonna lose the jersey but, whatever, we need to be safe.’ I gave up a yellow jersey to make this point. Because this was not just about fairness and fair play, but also to look out for the welfare of your sport. Your job is to beat time. So how is it that you like watches so much? I think part of it is being Swiss, and for us, watches are something really significant to our culture. But then it’s also about my relationship to time, from racing the time trial where every second counts. This forged a relationship between me and time. Because this race is all about time. Time is always present on your mind. You are famously a non-converter to electronic shifting. Do you find beauty in mechanical objects? I am not a fan of electronics. An Apple watch will not make me happy. How did you begin your relationship as a friend of IWC? Somehow, I had the opportunity to meet the people from IWC and then I met Georges Kern, their CEO, who is very passionate about cycling. I really like that IWC is about precision; it’s about tradition, it’s about engineering and it’s about performance. What are the similarities between bicycles and watches? I have a lot of respect for the watchmakers and I imagine them to have a similar mentality to the people preparing our race bicycles. Both are pursuing excellence. It’s not easy to make a great watch — they have to work hard at it. In bicycling, we are talking about millimeters, when setting a bike up, being the difference between success and failure. In watches, the tolerances are much smaller. And you have to really have the right mental attitude when you are building either to make sure that you are doing a good job. Because the consequences are huge. If you don’t set a bike up right, the rider might lose the race. If you don’t set a watch up right, it will not be precise and the company’s reputation is damaged. What watch do you not have but would like to own? I would love to own a tourbillon because it is a really complicated mechanism with so many parts inside, but all united to achieve a performance goal, which is to improve accuracy. I know you can find more expensive watches but this is not what I am looking for, because for me, the underlying meaning for a watch has to relate to performance. You live in Bern, near many watchmaking manufactures: does this make you feel connected to the Swiss watch industry? You know, it’s funny, but sometimes I ride my bike in Biel over to the Rolex factory. It is this massive, crazy building. And I often wonder what they are creating inside, how they are working and how they achieve the excellence they do for such a huge company. Then in comparison, I know in the Jura, there are certain brands making five or 10 watches a year and they cost half a million Swiss francs, but to me, this is not so much watchmaking but art. But I think the nice thing about Switzerland is there are so many different watch brands but all expressing this traditional Swiss expertise and tradition. Do you admire the leaders in the Swiss watch industry? It’s always interesting to see how leaders like Georges (Kern) or Jean-Claude Biver build these incredible Swiss companies. And then there is the Hayek family of Swatch Group. Hayek is a very important name in Switzerland and it is interesting to see what they are doing. What is the first thing you will do when you retire? The first step will be to create a new fundamental life base. I can, for the first time in a very long time, enjoy a social life and I look forward to building this up and seeing life from this perspective. Because in the last 16 years, the reality as a professional cyclist is that you don’t get to enjoy this in the way normal people do. You come home and in the few moments you have, you almost don’t know what to do because you are so focused on the sport. You are so much in your own world of riding and achieving your goals. At the moment, I’m associated with Trek bikes and I will continue working with them. I am also associated with a speedometer company. But I am enjoying the process of determining what my future will be. It’s interesting how you manage your image in retirement. Because if you are not visible enough, somehow, you lose your visibility, but at the same time you want to have a public image in the right way. Because in five or 10 years, if I find people that might want to put money into a cycling team, if I have no image and didn’t work on my image, learn to speak English better, understand sports marketing better, continue to be an ambassador for the sport and for fair play, then I might not be in a position to capitalize on this opportunity. But at the same time, you want to have a life with real substance. Helping people, having a real family life, having real friends. What’s the first thing you will eat when you retire? Your father is Italian and your mother is Swiss. If Italy and Switzerland were playing each other in the World Cup final, who would you support? Switzerland without a moment’s hesitation. You seem very grounded: is humility important to you? My friend, Patrick Seabase, likes to call it humble perfection. And also I’m living in Bern, which is a normal city where people are really grounded. They are relaxed, there is no stress, there are no spoiled people. My father was a working man; my mother was always working; I came from a working family, not from a banking family where money was always on the table. And I know that it wouldn’t help me now to buy a nice sports car. This is not the kind of thing that makes me happy. A real social life with my kids, with my family, with my friends — that’s what I want to build on now. How will you apply this humility to your future? Just because I was a good rider, it doesn’t mean that I can jump into being the head of a company, I know that this doesn’t work. I have the mentality that if you want to be the boss of a restaurant, then first you have to wash the dishes. So later when you are the boss, people will look at you and say, ‘He started from the very bottom and he earned it.’ And in my next phase of life, this is important. Because it’s not about winning races anymore, but the kind of person you want to be. Will you still ride your bike? I will ride my bike but in another way. Not thinking only about winning a race, but reconnecting with the passion of riding. I’ve had a 16-year career but that’s not my life. I’m 35 years old and I’m still a young man. I have another 30, 40 years to live and so I have heaps of possibilities. I’m healthy and so I have the best years ahead of me. But this is all in my own hands. And I think I’m on the right path.